This chapter was published as Wells, G. L. (2005). 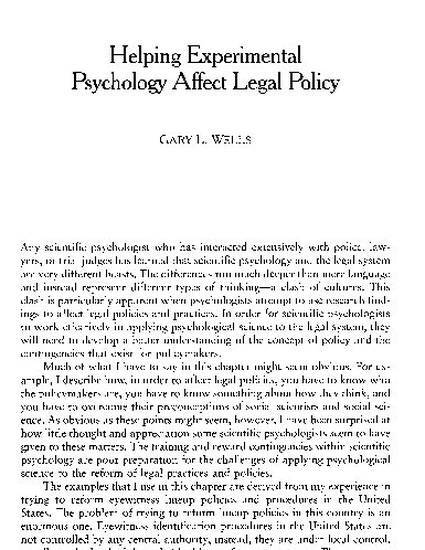 Helping Experimental Psychology Affect Legal Policy. In N. Brewer & K. D. Williams (Eds. ), Psychology and law: An empirical perspective (pp. 483-500). New York, NY, US: Copyright Guilford Press. Reprinted with permission of The Guilford Press.